Gold Coast craft brewery Black Hops, Australia’s current AIBA Champion Small Brewery and 2019 RQFWS Champion Brewery, is set to expand into the NSW, Victorian and South Australian beer markets in April. The past 24 months have seen the fledgling craft brewery on a rapid growth curve, culminating in the launch of their second brewery, Black Hops II, on the northern end of the Gold Coast, on 2 March. This was achieved off the back of a record breaking equity crowdfunding campaign. With the onsite taproom, Black Hops II delivers northern Gold Coast residents with a vibrant new locale right on their doorstep. But it’s the onsite 60 HL production brewery that is allowing the company to significantly upscale their production capacity into the millions of litres per year. Black Hops will be distributing the beer via a partnership with Paramount liquor, who offer cold storage and distribution in Newcastle, Sydney, Melbourne and Adelaide. Wednesday, 3 April at Cry Baby in Adelaide. Thursday, 4 April at The Alehouse Project in Melbourne. Friday, 5 April at The Union Hotel in Newtown. Saturday, 6 April at The Blind Monk in Newcastle. The 3 Black Hops founders will be present at all of these launches, with a range of core and limited release beers. Black Hops Brewing, billed as the least covert operation in brewing, is 3 mates making craft beer and sharing everything they learn along the way. After discussing a concept over beer at the pub in 2014, Dan, Eddie and Govs set off to make their first beer, the Eggnog Stout. Once the pilot brew batch was out, their attention quickly turned to doing a proper commercial brew. Within a few months they had their Eggnog Stout out in bars and got to work on building their own brewery. In 2015, they brewed the world’s first official Call of Duty beer, a Midnight Pale Ale. In 2016, they successfully raised $17,000 via a crowdfunding campaign to become the first Aussie brewery to launch via crowdfunding. They opened the doors to their original brewery and taproom in Burleigh Heads, on the Gold Coast, in June 2016. The prestigious ‘Champion Small Australian Brewery’ award at the 2018 AIBAs. Champion Brewery, Champion Queensland Brewery, Champion Pale Ale: Gold Medal and Champion IPA: Gold Medal at the Royal Queensland Food and Wine Show Beer Awards in March 2019. In March 2019 the company unveiled a new, second brewery, Black Hops II, a full scale production brewery and 150 sqm custom built taproom situated in Biggera Waters on the northern end of the Gold Coast. The fastest campaign ever in Australia to reach their minimum target (8 hours,15 minutes). The first Australian equity crowdfunding campaign ever to hit their maximum target ($400k in 6 days). 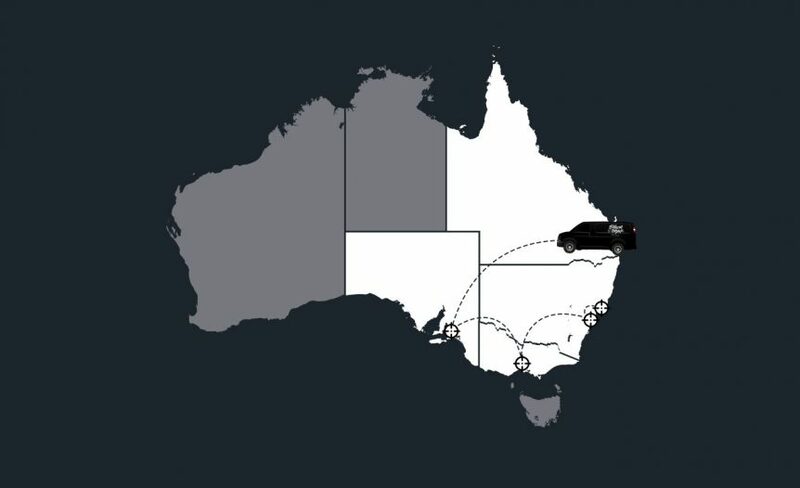 The pending launch of Black Hops into NSW, Victoria and South Australia signals an exciting new phase in the growth of the company as a major player on the Australian craft beer landscape. Black Hops Media Page (logos, photos, bio etc). Black Hops on social media @blackhopsbeer on Facebook, Instagram and Twitter. 0435 830 466 or email beer@blackhops.com.au.